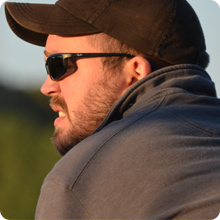 As construction workers, we need safety equipment that offers us comfort and adequate protection. Otherwise, we just can’t work properly. The right protective shoes must protect us from getting out toes hurt from falling objects, exposed nails, cold temperatures, electrical charges, slippery surfaces, all while keeping us comfortable. Without comfort, we’re nothing! On top of that, we don’t like to spend money on boots that won’t last us more than 6 months under heavy use. So, durability is another key factor! For construction workers, time is of the essence. I mean, we don’t have time for injuries, we need to get the job done ASAP. So.. in order to help my fellow construction workers, I made this list of the 5 most comfortable construction work boots. You can thank me later. The ideology that goes “The more you spend, the better shoe you’ll get” may have been true, but it’s not anymore. As a result of the globalisation and the outsourcing of production to third-world countries, the durability of a work boot has become a hit or a miss for many construction workers. I mean, if you aren’t careful, you may end up buying boots that won’t last you more than 6 months! Now, in my experience, the leather or fabric used to construct the boot is what makes or breaks its durability. This happens because those are the main materials which are gonna be in constant contact with the outside conditions as you go by your work day. 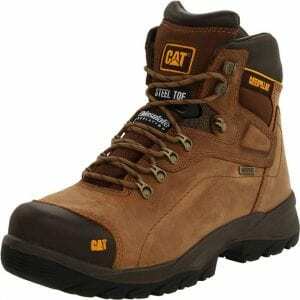 So, going for boots with a tough type of leather or fabric might be a great idea for construction workers. 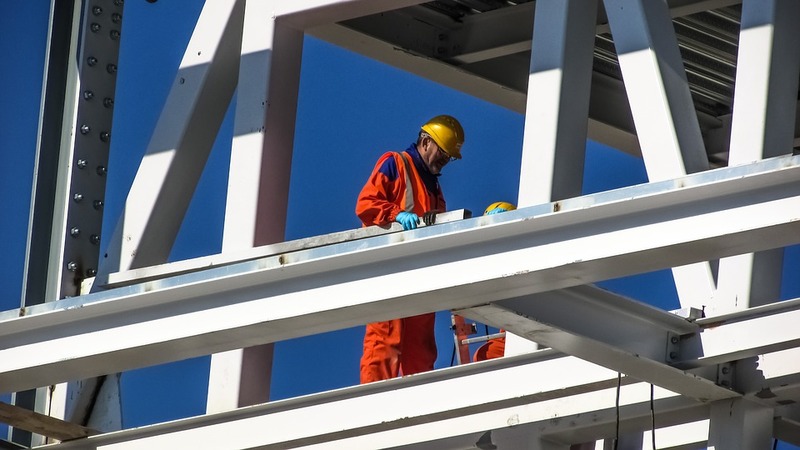 Your safety as a construction worker should be of utmost importance. And in terms of protection, you can make a huge different by acquiring work boots that have the correct safety measures. On that account, getting boots with safety steel toes might help you, especially if you’re used to working with sharp tools or moving heavy machinery, as this protective feature can keep you safe from crushing your own feet. Most people argue that steel toe caps are the best types of safety toes, but I believe aluminium toe caps will also do fine if you’re thinking of buying boots that have them. Finally, for those construction workers that work near electrics, for example, in outdoor power lines, I recommend that they have to be sure that their boots have electrical hazard resistant outsoles as this feature can save their lives! Just because you are a construction worker doesn’t mean you have to sacrifice your own comfort to get a proper protective pair of work boots. The appropriate safety footwear should keep your feet safe, support and cushion them, and all of this should happen while being durable. The most comfortable construction work boots should be lightweight and flexible, be waterproof yet breathable, and have shafts that enhance ankle support, with midsoles and footbeds capable of absorbing shock and having an anti-fatigue technology. Sounds difficult, right? The good news is that it isn’t, but the problem is that there are only a few boots that follow these requirements. Most construction workers will only look at protection and durability features, but I’m telling you that comfort is a key issue and most workers should keep that in mind. How Did I Test The 5 Most Comfortable Construction Work Boots? In order to choose the 5 most comfortable construction work boots in the market, I carried out three different tests at my construction site. 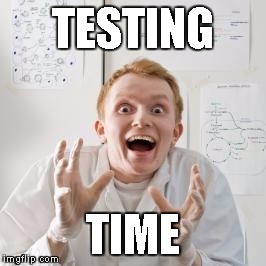 The first one was an impact resistance test. For this test, I dropped a weight onto the boots protective toe cap, so I could see how good the boots protected my toes. The other test I put these boots through, was the metatarsal protection test. Under this method, I let a weight fall at a given velocity to the metatarsal area of the footwear so I could analyse the boots performance. The third test was the static dissipation test, where I measured the resistance or the conductance of static electricity made by the given protective footwear under review. After conducting those tests and see which of them were the most protective, I came up with the following five work boots as the most comfortable for construction workers. And I do believe these are the ones! These Irish Setter work boots were made in such a way that they kept my energy up and the discomfort way down, no matter how long I would stay on my feet during the testing period. The boots had a removable cushioned polyurethane footbed which let my feet stay comfortable all day, no matter the surface I would walk on. Additionally, the main material of these shoes was a quality full-grain leather, which let my feet breathe freely without me worrying all the time about how hot they would get. To conclude, they were definitely made more comfortable by adding the dual-density polyurethane V-Grip outsole that not only provided me with a great sense of traction but also cushioned my feet in every step I would take during my work shift! Are The Boots Durable and Protective? These comfortable work boots came with a steel toe cap that protected my toes and metatarsal bone from any falling objects that could fall while I was working during the testing period. Secondly, they also had an electrical hazard safety feature which meant I could comfortably wear the boots when working near electrical wires that were not very safe to tell you the truth. It’s also worth saying that these Irish Setter boots were ideal for working on slippery surfaces thanks to their V-Grip outsole that made every step I would take feel as if I was glued to the floor! Aluminium toe meets ASTM F2413-11, M I/75 C/75, EH. 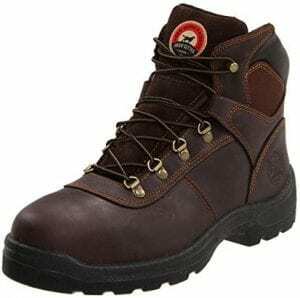 These Timberland PRO 40008 Mudsill Low steel toe boots have a ragged and athletic design. This is thanks to the fact that they are made with premium materials that not only make these boots look good, but also made them comfortable for my feet during the testing period. They came with the well-known PRO 24/7 comfort suspension system that cushioned every step I would take at the construction site where I work, enhancing arch support and reducing my foot fatigue. On top of that, the boots had a nylon and a ghillie lacing system that provided me with a secure fit. In addition, the boots had an EVA midsole which ensured a lightweight support during the testing time that made a great impression on me which was why I decided to incorporate them in this list! These Timberland boots came with a steel toe cap which gave me the confidence to do anything at my job as I felt I was very protected and kept away from many risks. They had an electrical hazard feature that helps the boots to stand out from the rest as it guarantees a great level of safety for many construction workers in the workplace. The boots also had a slip and abrasion resistant outsole made by Timberland. This exact attribute made these boots to be ultimately one of the most comfortable and protective steel toe work boots for construction workers I incorporated in this list! Here is a cool picture of the boots over a box.. These Thorogood American Heritage steel toe work boots gave me a great deal of protection during the testing period. First, they had the so-called oil & slip resistant polyurethane MAXwear wedge outsole which provided me with the needed traction for doing my work on any surface, without any fear of falling and hurting myself. They also came with a steel safety toe which was protective enough to keep my toes away from any kind of risk of getting my toes hurt by any heavy object that was to fall on the construction site where I work at. 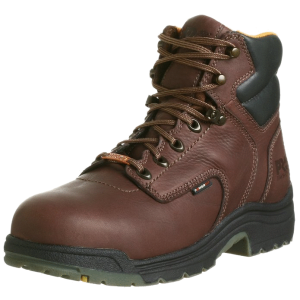 These work boots were made by one of the most trusted brands in the safety footwear industry, Thorogood. And that’s because they put on their years of craftsmanship and expertise in all their products. After testing these boots for a while, it wasn’t hard to feel the overwhelming sensation of comfort thanks to features such as the PORON 4000 comfort cushioned midsole that provided the shock-absorbing attributes I need in all work boots! Also, the boot came with composites shanks which were essential for supporting my feet and my stability no matter what type of position I would need to adopt when at work! Here is an awesome picture of these Thorogood boots..
During the testing period, these Timberland PRO 26078 Titan boots provided me with comfort and durable protection for a wide number of tasks I would do as a construction worker. I decided to incorporate these boots in my list of the most comfortable construction work boots mainly because of features such as their PowerFit comfort system that ensured that my feet would stay comfortable all day long, no matter what type of movement I needed to do. To conclude, the work boots had been built with the well-known cement construction method, which meant that the boots not only were going to be durable but also that their break-in period was gonna be substantially lower than that of the rest of the work boots. In terms of protection, these Timberland boots were made using an alloy safety toe that provided me with the protection I needed to keep my toes safe from heavy objects that may have fallen at the construction where I tested these boots. In addition, they came with a rubber outsole that was resistant to abrasions, slips, and oils, making this one of the most protective boots I have ever tested, no questions about it. In my opinion, a great pair of work boots for construction workers who’re looking for the best protection in the market! Let me tell you that I tested these boots for over three months and at the end, I arrived at the conclusion that these were one of the most comfortable work boot I HAVE EVER TESTED. First, these Caterpillar boots had a comfort system that was anatomically designed to maintain my flexibility, stability, and comfort during the testing period that I talked about previously. Also, they came with removable and perforated EVA inserts which provided cushion impact support, hence delivering my feet an overwhelming sensation of comfort throughout the day. What About The Boot’s Protective and Durability Features, Jack? In terms of durability, these Caterpillar work boots where manufactured following the welt construction method, which not only adds years of durability to their lifespan but also made them really lightweight and comfortable. Now, in terms of protection, it’s important to say that they came with 200 grams of thermal insulation that ensured my feet would stay warm, which came in really handy in those days I had to work outdoors at the construction site. Lastly, I had the possibility to use these boots without the feeling of worry that I always have with most other work boots as these ones incorporated a top-quality steel safety toe that let me feel confident that nothing was gonna hurt my toes at work, thus improving my work performance! Here is a cool picture of the boots indoors..
Wanna see why I chose these Timberland boots as the most comfortable for construction workers? Then you should check out its review by clicking the button down below! A well-founded safety outfit, in my opinion, should start from the bottom to the top. This means you should acquire the appropriate pair of work boots in order to be safe. My advice for those workers who not only want to be protected but also comfortable is to try any of the discussed boots above, as those boots have a great mixture between comfortable and safety features. But, if you need to be sure that you’re getting the right boots in terms of comfort, then going for work boots built with great cushioned footbeds might be the best idea. In all of my years as a construction worker, I haven’t found any work boot that having a great cushioned insole isn’t comfortable. So remember, when looking for the most comfortable construction work boots, looking always for a great cushioned insole is what I advise the most!